November 2017! More Brassicas, Peas, Chard, Lettuces! SoCal September planted lettuces are being eaten, plant more! Kale leaves are or soon will be ready to start harvesting. Broccoli and Cauliflower soon to be tasty! Cabbages will take a bit longer as they pack those leaves on tightly. You can harvest them when they are small, or if you want more food, let them get still bigger! Space your plants well. Think of the footprint of your mature plant. Crowded plants can shade each other out, and winter already has shorter days. They don’t get their full productive size or produce as productively. Smaller plants too close together can get rootbound, suffer from lack of nutrition. The remedy is simple! Thin when young and eat these luscious little plants! Or thin when they are bigger – take the whole plant! Rather than planting so closely, keep some of those seeds back for another later planting, or deliberately over plant for tender additions to your salad! If they come crowded in a nursery six pack, gently separate the little plants, plant separately. If you are really brave, do it the John Kohler way! Video Give away your extras! Plant to allow airflow so your plants will harden up a bit. Don’t over feed or water, inviting sucking pests like aphids and whiteflies that easily feed on soft tissue. Especially true for beets and chard that get leaf miners. Ideally with chard, a ‘permanent’ plant, the leaves won’t touch another chard. Plants that have generous space produce more! If you reserved space for planting mid January bareroot strawberry beds, plant it to 2 month crops, like lettuce that matures quickly, arugula, mustard, turnips, and crispy red radishes that are ready to pick in little more than a month. Arugula, spinach, pretty Asian greens, such as tatsoi or mizuna, grow so fast you will have baby plants to add to stir-fries and soups just three weeks after sowing. For a quick payback on your table, select the earliest maturing varieties available. Or, pop in a green manure mix to restore your soil. Island Seed & Feed has the wonderful Harmony Four green manure seed mix and the inoculant that goes with it. Nov is late to plant this mix, so just cut down, chop, turn in sooner for January bareroot planting! Chard grows quickly, but it is a cut and come again plant that needs a permanent location. Seascape strawberry variety is my #1 pick! It was bred locally at UCSB, is an everbearer, harvest June to October! It makes huge berries, tasty flavor, keeps well. It has long roots so seeks water deeper down, more heat and drought tolerant. Terra Sol (Goleta CA) carries them bareroot mid January. Celery is lovely, fragrant, low-cal! Like lettuce it is a cut and come again. Feed it from time to time, it’s working hard. Plant it by the water spigot. If you have room, you can let celery, cilantro and carrots, flower and seed too! Shade If you want a lower profile or space is limited, get dwarf varieties. That allows more flexibility when you choose how to place your plants or are filling in a spot where a plant has finished. Plant your Tall plants in zig zag ‘rows’ so you can plant them closer together. In the inside of a zig zag, on the sunny side in front of the ‘back’ plant, put in your fillers – medium height plants and shorties. A mix of Bok Choy, mustards, longer winter radishes – Daikon, kohlrabi, parsnips, rutabagas and turnips would be exciting and give winter variety on your table! With the majority of fall crops, the main harvest is leaves! Cut and come again means a long harvest…and a very hungry plant! So, plant in super soil to get a good start! Add composts, manures, worm castings. In the planting hole, mix in a handful of nonfat powdered milk in for immediate uptake as a natural germicide and to boost their immune system. 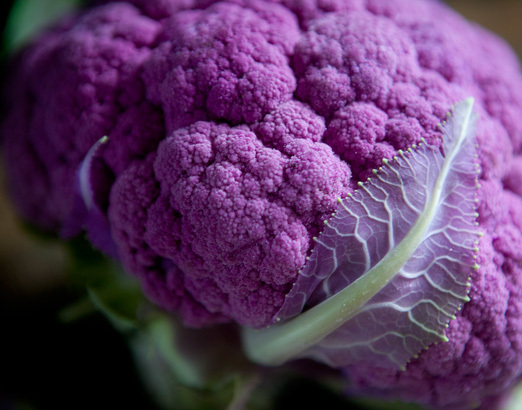 For bloomers, brocs and caulis, throw in a handful of bone meal for later uptake at bloom time. If you have other treats you like to favor your plants with, give them some of that too! Go vere lightly on incorporating coffee grounds either in your compost or soil. Studies found coffee grounds work well at only 0.5 percent of the compost mix. Yes, that’s only 1/2 a percent! See more details about soil building! The exception is carrots! Too much good soil makes them hairy, fork, and too much water makes them split. Mulch? The purpose for mulch in summer is to keep your soil cool and moist. If you live where it snows, deep mulch may keep your soil from freezing so soon. But when SoCal temps start to cool, days are shorter, it’s time to remove mulch, especially if it is a moist pest or disease habitat, and let what Sun there is heat up the soil as it can. When it is rainy, mulch slopes with mulch that won’t blow or float away. If needed, cover it – garden staple down some scrap pieces of hardware cloth, cut-to-fit wire fencing or that green plastic poultry fencing. Or do a little quick sandbag terracing. The mulch exception is low to the ground leaf crops like lettuce, arugula, spinach, bok choy and chard. They need protection from mud splash. Lay down some straw before predicted storms. If you live in a windy area, lay something over the straw, like maybe rebar pieces, to hold the straw in place or some anchored chicken wire. Pest and Disease Prevention Drench young plants, seedlings getting their 3rd and 4th leaves, and ones you just transplanted, with Aspirin solution to get them off to a great start! One regular Aspirin mushed, 1/4 C nonfat powdered milk, 1/2 teaspoon liquid dish soap (surfactant), per gallon of water. Aspirin, triggers a defense response and stimulates growth! Powdered milk is a natural germicide and boosts their immune system. Reapply every 10 days or so, and after significant rains. RESTORE OR REST an area. Decide where you will plant your tomatoes, heavy feeders, next summer and plant your Green Manure there! Plant some hefty favas or a vetch mix for green manures to boost soil Nitrogen. The vetch mix can include Austrian peas and bell beans that feed the soil, and oats that have deep roots to break up the soil. When they start flowering, chop them down into small pieces and turn them under. If your soil can use other amendments, manures, green sand, compost with bark bits for water holding capacity, add them and turn everything under at the same time! Wait 2 or more weeks, plant! Favas only are good and big, you get a lot of green manure per square foot. If you change your mind, eat them! See the entire October 2017 GBC Newsletter! Rat’s Tail Radish is Prolific! Green or Purple?! Birds, Animal, Insect Pests Above Ground Protection! Massage Your Delicious Raw Kale Salad! Other Community Gardens – Nuestras Raíces, Our Roots – Holyoke MA! Upcoming Gardener Events! 13th Intl Permaculture Convergence, India, 10th Annual Santa Barbara Seed Swap! See the wonderful October images at Rancheria & Pilgrim Terrace Community Gardens! Got some favorite old Italian heirloom Violetta Italia caulies at Terra Sol Nursery and a Cheddar, abundant with carotenoids, at ACE! Terra Sol had Cosmic Purple carrots too! 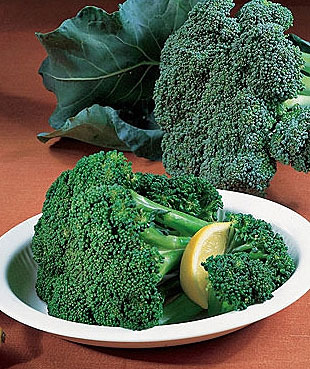 I’m trying Arcadia Broccoli because it is somewhat heat tolerant with excellent side shoot production. Island Seed & Feed has the wonderful Harmony Four green manure seed mix and the inoculant that goes with it, plus a goodly batch of winter transplants including celery and some interesting peas! Sad to report, no bare root strawberries anywhere. La Sumida usually has them when they reopen in January after the holidays. Sure hope so this year too! Finally the SoCal HEAT is over!? Many of us at Pilgrim Terrace Community Garden didn’t plant until the very end of October, and even then we had record high temps. Very delayed start this year. There will be fewer rounds of planting. Instead of leaving space available for a second round, this year I planted all the space right away. I’ll fill in as space becomes available ~ when the cabbage and cauliflower heads are harvested. I’m planting more kale and chard than I used to so I’ll have a quick supply of greens while waiting for the others. This late, plant transplants for sure. Seeds are fine, and seeds of the same plants, if planted at the same time as the transplants, give an automatic equivalent of a second round of planting! Winter light is less, so your placement strategies are more critical. Remember, tall to the North and shaded areas, graduating down in size to the shorties South and sunny. For example, if your garden gets only morning sun, plant tall to the west, shorties on the east. Tall means at their mature height. Pole peas on a trellis might be your backdrop, against a wall, along a fence. Plant carrots on the sunny side of peas to enhance the growth of your peas! I plant beets behind the peas because the beets are fast broadleaved growers that would shade out young peas or slow growing carrots. Peas like a lot of water, so though carrots from seed need to be kept moist, after that, too much water makes carrots split. So plant your carrots far enough from the peas so your carrots don’t get as much water as the peas do. Brocs get tallest, some up to 5 feet+ unless you are planting dwarf/patio varieties. Kales can get that tall and taller if you let them grow pom pom style. Even dwarf kales will do that! Given time, dwarfts revert to their natural size. Chards are next, different varieties at varying heights, Fordhook Giants the tallest. Celery by the water spigot. If you have room, you can let celery flower and seed too! Bareroot Strawberries, transplant strawberry runner daughters first/second week of November if possible. They need ACIDIC compost mixed into their soil! Put them in spots for easy picking, lovely along borders. Keep them moist. When they start to fruit in spring, cover with aviary wire to keep out birds. Heading winter lettuces like plenty of water to stay sweet, grow quickly, stay in high production. Put them in a low spot or near the spigot, on the sunny side of taller celery. Also, lettuces repel cabbage moths. Put a few of them between the cabbages and other Brassicas. Plant lettuces you want under Brassicas from transplants because dying parts of Brassicas put out a poison that prevents some seeds, like tiny lettuce seeds, from growing. Compost fallen Brassica leaves right away. In fact, remove yellowing leaves ASAP! Yellow attracts whiteflies. Have fun with beets & carrots! They come in different shapes and lots of different colors. Try Danish heirloom Cylindra beets! Special tip from Hole’s: ‘Nearly two thirds of the length of the root will grow above ground, so some gardeners like to hill up soil around each plant as the root emerges. This will keep the skins of the root very tender and protect them from insects.’ True for any beet and a bit for carrots! Hilling up the soil keeps carrots from having those green shoulders. Plant carrots, slow growers, on the sunny side of faster growing flat leaved plants like beets so the carrots won’t be shaded out. Colorful carrots brighten your winter stews! Baby Little Fingers make small carrots quicker than most, only 57 days to maturity! Put in multi colored Circus Circus! Space your plants well. Think of the footprint of your mature plant. Crowded plants can shade each other out. They don’t get their full productive size or produce as productively, both size or quantity. Smaller plants too close together can get rootbound, suffer from lack of nutrition. The remedy is simple! Thin when young and eat these luscious little plants! Rather than planting so closely, keep some of those seeds back for another later planting. If they come that way from the nursery, gently separate the little plants, plant separately. Give away your extras! Plant to allow air flow so your plants will harden up a bit, and don’t overwater, inviting sucking pests like aphids and white flies that feed easily on soft tissue. Especially true for kales and chard that gets leaf miners. Ideally with chard the leaves won’t touch another chard. Biodiversity Mix up your plantings to stop diseases and pests from spreading down a row or throughout a patch. Monoculture can be costly in time spent and crop losses. Plant different varieties of the same plant with different maturity dates. Pests and diseases are only attracted at certain stages of your plants’ growth. Strawberry Notes! Chandlers are June bearers. Sequoias are Everbearers. Seascapes are one of California’s own, released by the University of California breeding program in 1992. They are Day-Neutral, producing 3 months after planted no matter when you plant them! They produce spring, summer and fall, are heat tolerant and remarkably disease resistant! Seascapes, Albions and Sequoias have large berries, Albions very firm. Strawberry and onion varieties are region specific, strawberries more so than onions. So plant the varieties our local nurseries carry, farmers grow, or experiment! 1st half of Nov: Plant seeds of globe onions for slicing. Grano, Granex, Crystal Wax. Immediately after transplanting, give your babies a boost! Drench young plants with Aspirin Solution, + a 1/4 cup nonfat powdered milk, heaping tablespoon of baking soda, teaspoon liquid dish soap per gallon/watering can, to get them off to a great start! Do this the same or next day! Reapply every 10 days or so, and after significant rains. Mulch? The purpose for mulch in summer is to keep your soil cool and moist. If you live where it snows, deep mulch may keep your soil from freezing so soon. But when SoCal temps start to cool, days are shorter, it’s time to remove mulch and let what Sun there is heat up the soil as it can. When it is rainy, mulch slopes with mulch that won’t blow or float away. If needed, cover it – garden staple down some scrap pieces of hardware cloth, cut-to-fit wire fencing or that green plastic poultry fencing. Or do a little quick sandbag terracing. Low to the ground leaf crops like lettuce, arugula, spinach, bok choy, chard, need protection from mud splash. Lay down some straw before predicted storms. If you live in a windy area, lay something over the straw, like maybe rebar pieces, to hold the straw in place. BEE FOOD! Plant wildflowers now from seed for early spring flowers! Germination in cooler weather takes longer, so don’t let the bed dry out. If you are a seed ball person, fling them far and wide, though not on steep slopes where they simply wash away. What is a seed ball? Enjoy the crisp evenings, a little bit of clearing wind, enjoy these spectacular sunrises & sunsets! Plant for holiday sharing! Cilantro Repels Aphids, Attracts Bees & Beneficial Insects!!! Events! Master Gardener Training, Seed Swap!